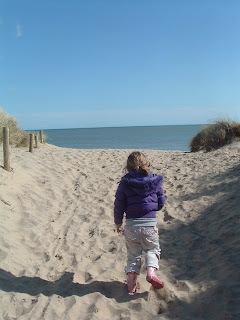 We got back this afternoon from our two day holiday in Wicklow. After a rocky start to the 1 hour car journey there (Síofra turned green and we all thought she was going to redecorate the backseat of the rental car with her lunch) we arrived in Laragh safe and sound. The reward for the bumpy journey was a spendid walk in the woods at Glendalough, one of the most beautiful places in Ireland. I don't care that I've been there a million times over the past 14 years, it's spectacular and the views are magical everytime. 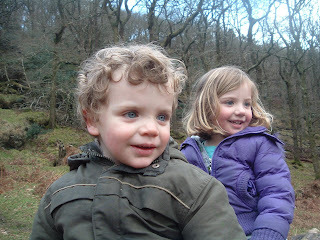 Síofra and Paddy turned every stone and tree stump they came upon to investigate the insects, leaves and rotting wood. Síofra was on the lookout for fairies, as they most certainly live in this forest. Sadly, she spotted none, but she did see where they gather at nighttime for their fairy parties. We spent a half hour at this upturned tree stump. 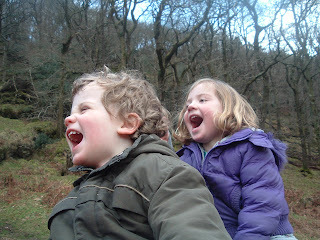 Daithí found that when he gave his best shout, we could hear the most amazing echo through the glen, like in the cartoons. So the kids tried it, too. 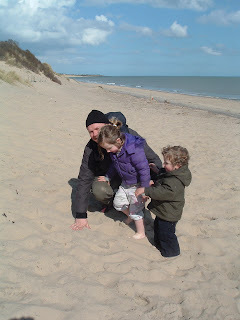 The next day was bright and sunny, so we drove to the beach at Brittas Bay. It was gorgeous, and the kids loved it. 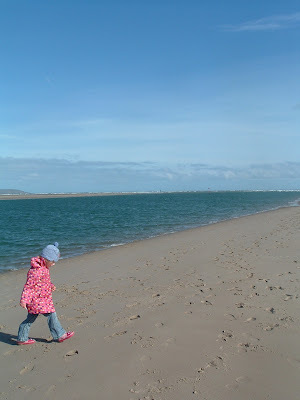 Síofra spent 15 minutes alone examining the different colours of the sand. 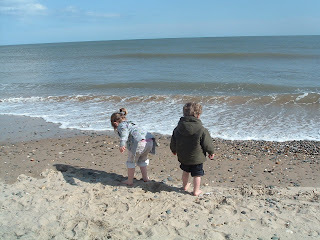 They collected shells, stones, and even dared to put their toes into the sea; braver than the parents were! 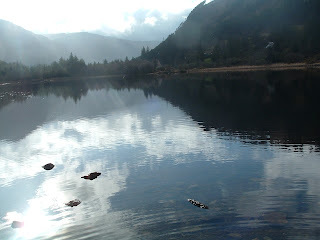 And, we visited one of my favourite places in Glendalough, the pagan well. The tree growing at this old well has been adorned with bits of fabric, ribbons, notes, and string by its visitors as they made a wish. 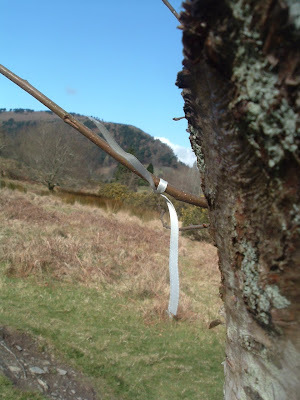 When I was pregnant for Síofra I tied a ribbon on the tree and hoped for her to be born safe and sound. 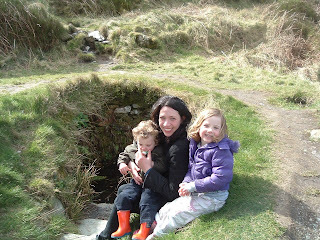 And just before I became pregnant for Paddy I did the same, and wished for another healthy baby. It's a special place for me; surrounded by mountains and next to a river, it's more special than any church or building could ever be. Unfortunately, a caretaker who thought he knew best decided that all these remnants of its visitors' hopes and dreams were "unsightly" (according to the woman at the info desk), and the tree has been cut back. But that didn't stop us. So I made wish this time, too. 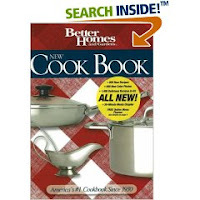 A well-known Bridget fact is that I love to read cookbooks. 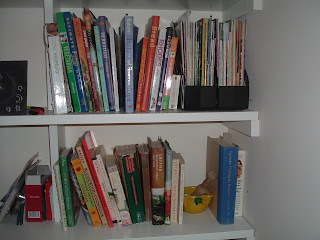 In fact, I've accumulated quite a collection of cookbooks over the years (I just counted; I have 35, plus a load of Vegetarian Times and Veggie Life magazines). I especially love cookbooks that have reading in them; history of food, explaining the cuisine of a region, information on nutrition, etc. Don't let that title put you off--you don't need to be able to do a 10 minute downward dog to enjoy this food. 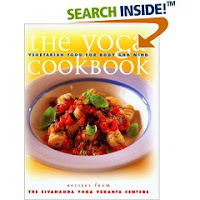 The vegan recipes are simple, very wholesome and very delicious. Grains, proteins and vegetables each have their own chapters, which is helpful in understanding the importance and benefits each of these brings to your diet. Also, there's lots of reading about food and eating in a spiritual context, which is good to think about. Becky gave me this one for Christmas back in 2000. Back in the days of Bridget's Bistro (when we'd have dinner parties and I'd spend 4 hours preparing a feast...talk about having time on my hands), I used this book to make Thai, Armenian, Italian and West African meals. 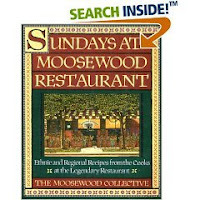 Each chapter covers a geographical area, and has 3-4 pages of interesting introduction to that region's food. Tasty and educational. Favourite dish: Stewed Batilgian, an Armenian eggplant stew. Floyd was a fellow co-op resident back in East Lansing, known for his laid back attitude crossed with vegan aggression. I think he gave it to me for Christmas back in 1995 or so. How crazy old is that? It's such a great book, though. Very simple, everyday recipes that you really use. Like how to make a regular cake. Or oatmeal cookies. Or quiche. And if I ever need to know the 7 wholesale cuts of beef, (chuck, rib, short loin, sirloin, round, foreshank and brisket and short plate & flank) it's all laid out for me on page 210. Thanks, Floyd! This was another thoughtful gift, this time from Eric and Kusi. It's a beautiful, heavy book (over 550 pages) of really nice recipes that are easy to prepare, but make you look like a really good cook. I love that the chapters are by food groups (see "The Onion Family" and "Stalks and Shoots") so that when you have a certain vegetable on hand, you can peruse that chapter for ideas on how to use it (this comes in really handy when you go crazy and buy a bunch of kohlrabi and then realize you don't know what to do with it). It also has a section with recipes using Quorn, a favourite invention of mine. One of my favourite recipes: Haricot Bean Cobbler. An oldie, but goody. 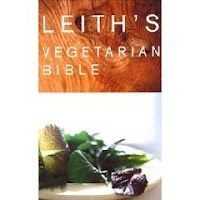 This is the original vegetarian cookbook, and no vegetarian's kitchen is complete without it. It was also a staple back in my college days at the co-op. In fact, the first night that Becky and I were on cooking duty (the 12 of us ate together 4 nights a week) we prepared the Lentil Walnut Burgers with disastrous consequences. But luckily my cooking skills have improved since then, and I love the food in this book, and the cute little drawings that go alongside the recipes. 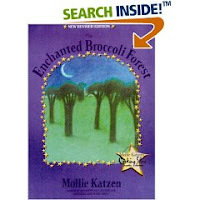 I've never actually made the Enchanted Broccoli Forest (this is an actual recipe from the book, involving a bed of rice and broccoli standing up to look like trees), but I suspect I will someday soon, because a dish like that just deserves to be made. Fed up with the bus fumes, traffic noise and the concrete that we love so much, we decided to escape our city for a few hours on Sunday. Our usual scramble to get out of the house was followed by a relaxing 25 minute train journey to Malahide. As we stepped off the train, the fresh air went to work on us. Hair was blowing, scarves were flapping, and our cheeks quickly turned a healthy pink. We walked, had coffee and then headed to the beach. 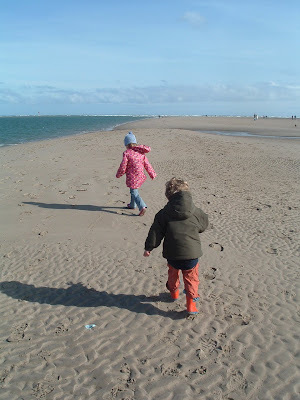 We could taste the salt as the gale force winds assaulted our faces, but it felt so good. And the sun shone for the first time in a week. The kids loved having all the space to run around in. And luckily they wore their wellies and we brought a change of clothes, because after all their jumping in the water, they were soaked. 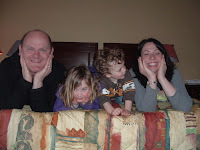 We returned home tired, our hair tangled and knotted and completely refreshed. "Why don't we do this every weekend? The beach is so close! And we only spent 6 euro today!" I know life gets in the way of these things, but we're recommitted to taking excursions like this one. Next week we're going to Wicklow for two nights. 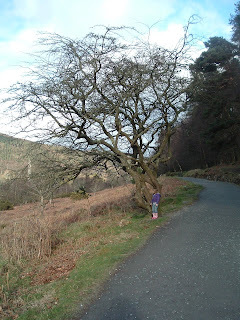 We'll walk in the woods, see the lakes in Glendalough, visit my favourite pagen well and hopefully visit a farm on the way home so the kids can actually see a chicken. And for the first time in 14 weeks I'm looking forward to something. 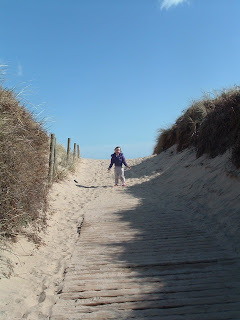 That wind and sea air moved something inside me, and I am better for it. Plus, the kids slept uninterrupted from 8 pm until 7:30 am. Bliss. 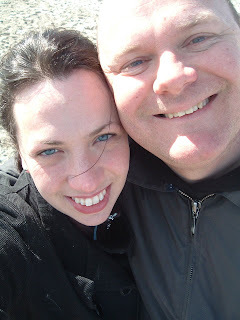 I was rooting through old photographs and found this one of me and my dear friend Becky. 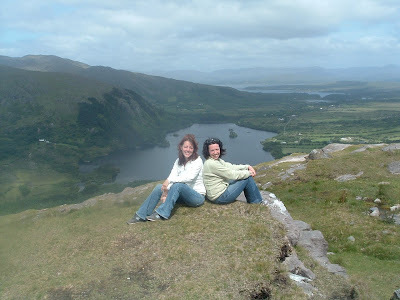 It was taken in June 2006 during our holiday in west Cork. If you need a reason to come to Ireland, this view should be enough.